Independence is the name on this boat – appropriate for this US Independence Day week. Independence is a 38 ft Chris Craft Commander built in 1968, making her a Classic Boat. She is owned by William Flaglor, member of the Niagara Frontier Chapter. Arnie Brulhardt sent this picture of his 1963 Thompson SeaCoaster. The photo is titled, “Summer of 2017 Sore Thumb, Fire Island Inlet”. 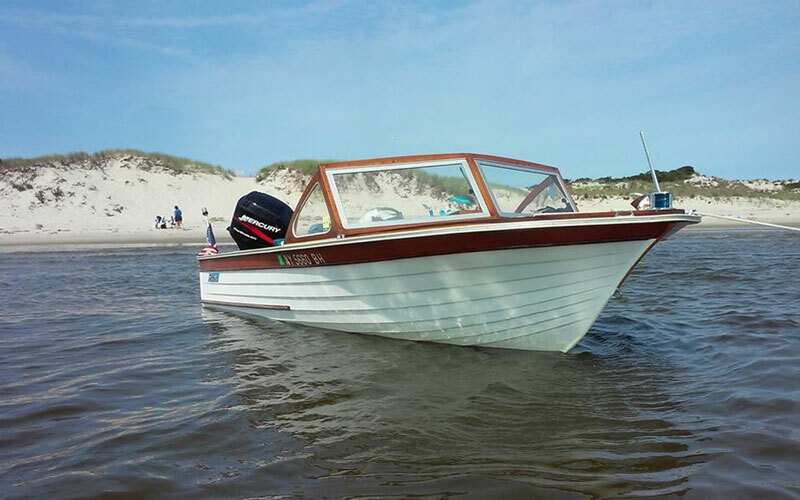 He says, “Been boating on the Great South Bay for 55 years.” Fire Island Inlet is on the south shore of Long Island, New York. American Thoroughbred can be found at her summer home on Green Lake in Interlochen, Michigan. American Thoroughbred is a 1957 Century Arabian, one of 41 that were made that model year. This was the second year of the Arabian 18 model and many were sold with the Ford engine. American Thoroughbred does have the Ford Interceptor engine with 215 hp. She is owned by Allen Papendick, member of the Water Wonderland Chapter. 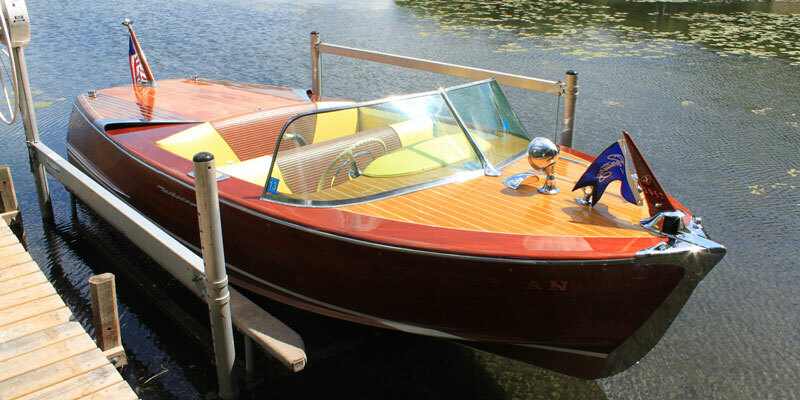 This 1953 Chris Craft Rocket Runabout is 17 ft long. Robert Larson, member of the Lake Hopatcong and Philadelphia Chapters, has named her Norwegian Wood. She recently won the Best of Show – Preserved at the Lake Hopatcong Annual Show. 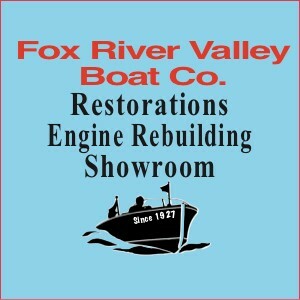 May we see a picture of your DREAM boat for the next Tuesday Tour of Vintage Boats?